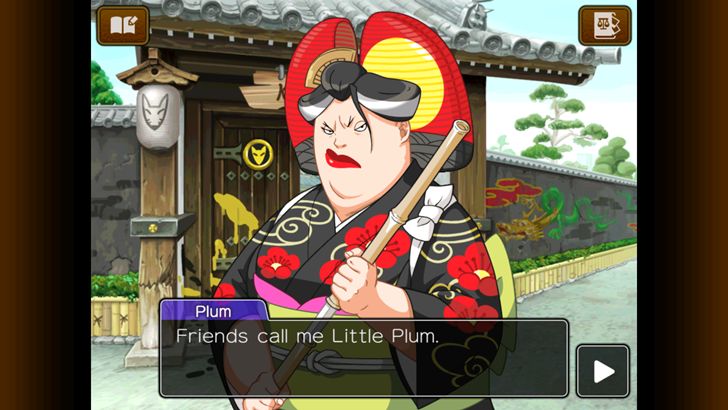 In the cartoonish world of Ace Attorney, justice is swift and possibly a little drunk. Trials last for a maximum of three days and final verdicts are determined by the judge alone, with no appeals. 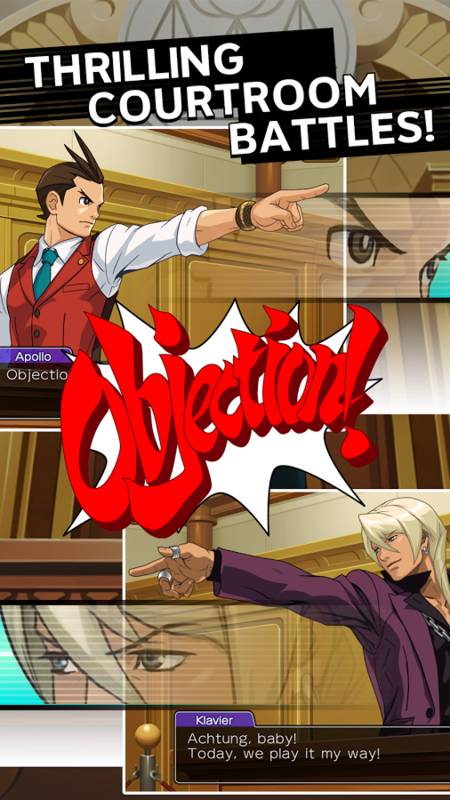 As a defense attorney, it's the player's job to both investigate the scene of their clients' alleged crimes, then cross-examine the witnesses and outfox the prosecution to prove said clients innocent. 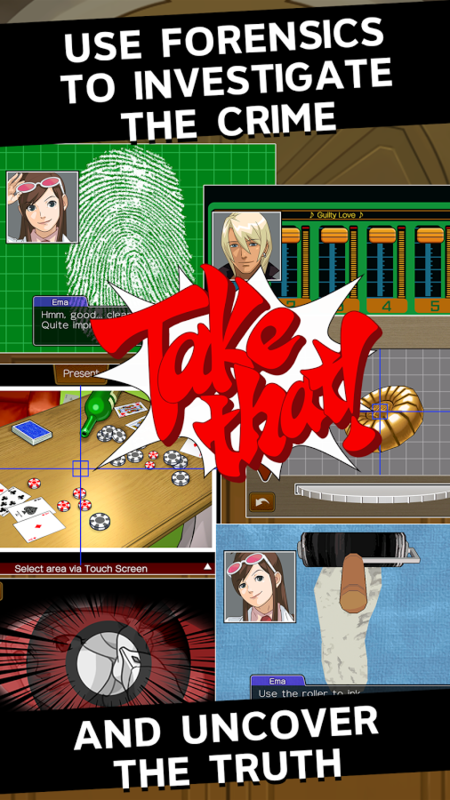 The core gameplay is a mix of the distinctly Japanese visual novel style in the investigation phase, then a "three strikes you're out" system during the courtroom phase, which mainly revolves around finding the inconsistencies in witness testimony and forcing them to tell the truth. You get to shout "Objection!" a lot - it's the signature dramatic move. 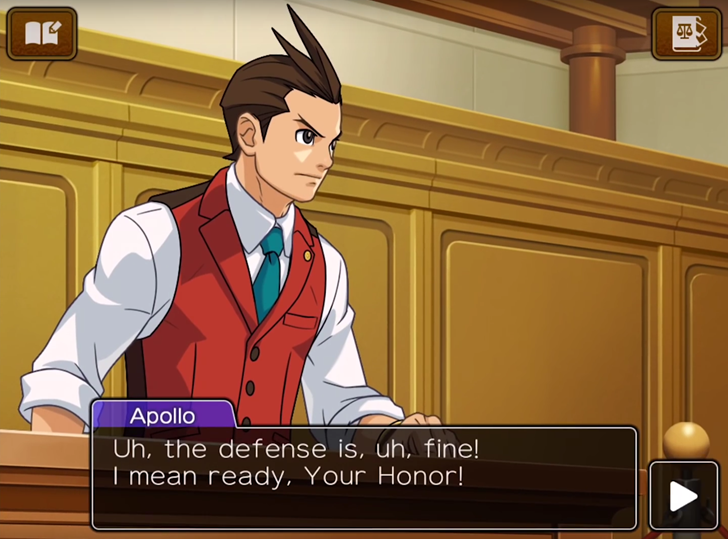 Apollo Justice takes place several years after the initial Phoenix Wright trilogy, with the player-character studying under the famous defense lawyer and partnering with his daughter. Some purists might not like the fact that this slightly newer game is coming out before the earlier entries - there's a lot of character drama and backstory that you're dropped into. 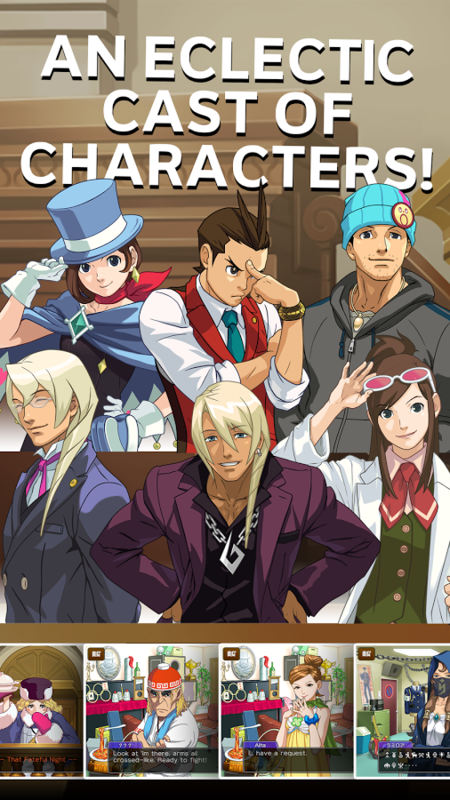 (It doesn't help that, for some reason, the iPhone got all three Phoenix Wright games while Android got none.) 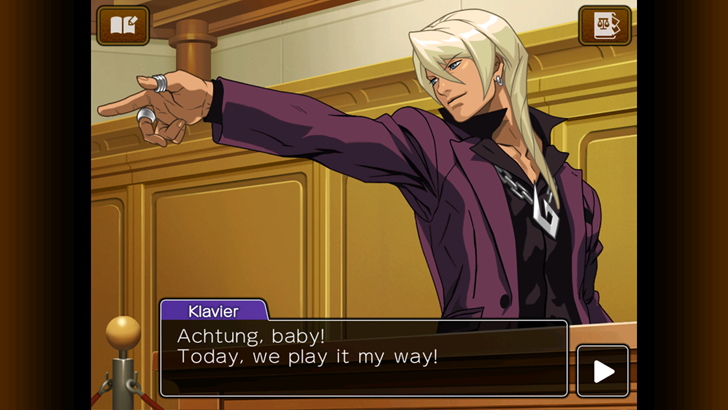 Even so, the fourth game keeps the signature Ace Attorney wackiness and over-the-top cartoon characters. The Apollo Justice game also features a "Perceive" system, where the player can spot poker-style tells in witnesses' behavior, but otherwise keeps the status quo intact. $16 is a fairly high price for a port of an eight-year-old game for the Nintendo DS, but it's not inconsistent with what other Japanese console developers like Square-Enix are demanding for their older titles. 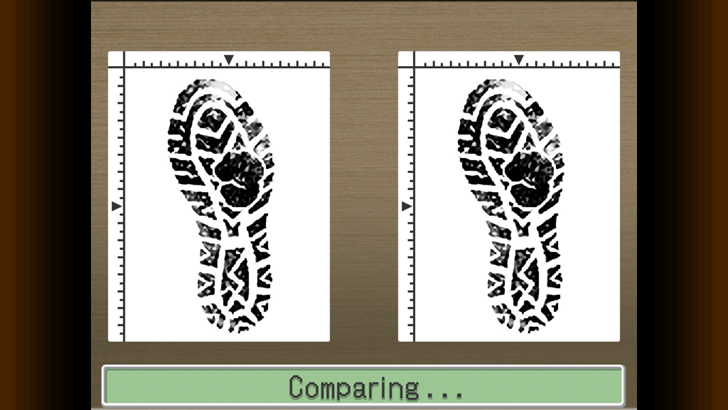 The Android version does seem to be using much higher-resolution assets than the original portable release (though the sound hasn't improved that much). The Play Store description says the game has in-app purchases, but I think that's an error - all four episodes in the game are available from the start. It looks like someone just copied over the text from the iPhone app description, because on the App Store the game is 99 cents with in-app purchases to unlock the episodes individually. Android players get everything for one lump price.